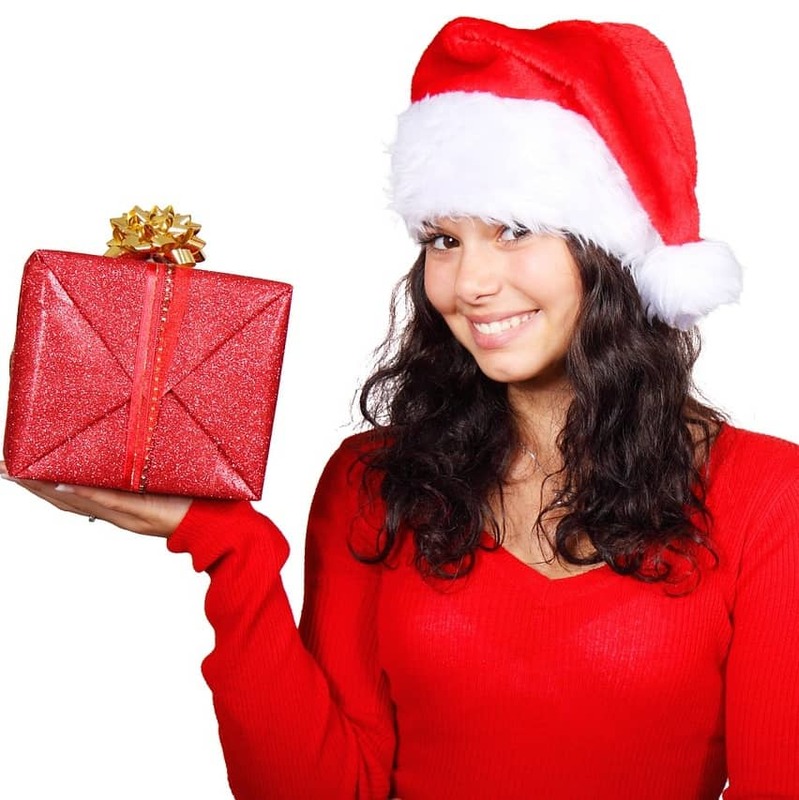 Have you thought about what you will give yourself this holiday season? You read that right. A gift for yourself. Generosity is a good thing. I love giving gifts to others during the holidays as well as randomly throughout the year. I take joy in making others feel loved, appreciated, and special! But I have a confession to make…I’m not as good about giving gifts of love or appreciation to myself. Are you? For example, just this week I was doing the annual Christmas cookie baking and had been on my feet for hours. My feet screamed to give them rest, but instead of soaking my feet, I ignored their pleas and pressed on to do more. I firmly believe God’s word which says He is the giver of every good gift. Yet we choose whether or not to accept his gifts. He offers peace and joy but our busyness blocks that peace. Each morning as you rise, pray for strength and stamina for the day, and pray that God will help direct you to do what He wants you to accomplish that day and not a thing more. Allow yourself time in God’s presence every morning – that’ll help ground you for whatever else will come. Give yourself the freedom to say ‘No.’ When you are invited to events or asked to participate in activities, pray about your involvement before committing. Be careful of saying yes just to spare your reputation or out of fear of hurting someone’s feelings. Instead, reserve your commitments in order to make the best yes for you and your family. On the busy days when you have lots of errands to run and tasks to accomplish, when you may be tempted to throw on your casual but frumpy attire, opt instead to choose a nice outfit that makes you feel good about yourself. Assess the list of traditions you routinely uphold and ask yourself the purpose behind them. Be wary of tasks and activities that you take on just for the sake of tradition. Choose those that hold the greatest importance to yourself and let the others go. Just as you schedule events like holiday parties and cookie swaps, physically schedule blocks of time for yourself to engage in activities that refresh and rejuvenate you (such as a hot bubble bath, time to read a good book, a home manicure or pedicure, quiet moments with a cup of tea, etc.). Once you are settled at home for the evening, play your favorite soothing music and/or light your favorite candle. You cannot control all the stimuli coming at you all day, but you can set the tone at home. Make adequate sleep a priority. Without it you won’t have enough energy or the right from of mind for everything else you must do. Avoid the “Should game.” Listen to the comments you say to yourself and make note of when you tell yourself “you should…” That’s not consistent with the peace of God. Give yourself grace. We routinely extend grace to others when they don’t meet up to expectations or they let us down, yet we are often our own worst critics. Don’t come down hard on yourself when you don’t meet your own or others’ expectations. Instead, lovingly remind yourself that you did the best you could and tomorrow will offer other opportunities should you choose them. Allow yourself tasty, healthy treats. The holidays serve up a heightened opportunity for gluttony, and I know of no-one who doesn’t give in to at least some temptation in that area. If you will make a list of 5-10 tasty, healthy snacks and have them on hand, when you need a quick boost you will be less tempted to give in to the sugary sweets which give a quick boost of energy, but equally quick dive. The holidays are an emotionally and physically demanding time of year. Schedule periods of time, even as little as 15 minutes a day, for some form of physical exercise. This will help combat fatigue and help uplift your mood, not to mention burn off a few of the extra holiday calories we all consume. Give in to the child in you. I think it’s no coincidence that Jesus had a particularly tender heart toward the children. Their innocent faith and their willingness to engage in playful activity allows them greater opportunity to enjoy the simple joys in life. Give yourself permission to do the same, whether it be coloring with a child, trying a new craft, watching an old Charlie Brown Christmas movie, swinging on a playground, singing Christmas carols, or looking at Christmas lights. For those few short moments, they will ease the burden of all the adult tasks to which you are committed. Give yourself the liberty to do something outside your norm and break your routine. Many individuals find safety and security in the routine. Yet giving yourself the liberty to try something different can open up the door to simple blessings and greater joy. Plan one day each week when you will not do any holiday preparation, a sort of holiday Sabbath rest. Keep in mind that God can help you do more in six days with a seventh day devoted to rest than you can do in all seven days alone. Remember, holidays will come and go every year. There will always be things that got left undone or not executed in the way you dreamed. But know that you are completely and perfectly loved by the God of the universe. He will not love you more if you make one more holiday meal or beautifully wrap another gift. Nor will he love you less if you leave the star or angel off the tree or forget to put out the cranberry sauce for Christmas dinner. He loves you, and He desires for you to show yourself as much love as you show to others. Which gift or gifts will you commit to giving yourself this year? .. I am going to be more childlike this season. Thank you dear Michelle. I am looking forward to a Christmas through a child’s eye! Thank you Margie. You’re an encouragement to my heart. What a fantastic idea Securelyheld! I’m glad you enjoyed it. Take care of yourself this holiday season so you can better care for others around you. This is wonderful. Too often I put myself last and I feel like I an suffering because of it. Robbie, what you are describing happens way too often to too many people. It’s like the warning we are given on an airplane: if we don’t put on our own oxygen mask first, we won’t have anything left to help others. I hope you’ll commit to giving yourself the gift of self-care this holiday season! Great tips. It is so important to take care of ourselves first, and then other things fall into place. We aren’t as irritable. We aren’t as stressed. When we fill our own buckets, we are able to pour more out for others. Great reminders. Exactly right balmtomysoul! Sometimes counter-intuitive, but critical! Thanks for stopping by! Thanks Gemmy! Glad you stopped by. Great advice. The one that makes the biggest difference in my day is starting out the day by taking time to be in His presence, especially in His Word. It helps my mood the entire day through. I need to work on the “should” game and saying no part a little more. 😉 Thanks for the tips. If we were to be honest, findingourfeetorg, taking time to be in His presence would be the biggest game changer for most. I’m so grateful for His grace in that regard! Blessings to you! Just amazing article & great tips indeed. And I too love giving gifts to others & when I cant I will stand by them to give a moral support when they are in need as this is what every human wants these days. Lisa, by the sounds of it, you are a good “gift-giver.” You know the value of the intangible as well as the special tangible gift. Make sure you take time to be as good to yourself this season! Merry Christmas to you!